The perception of gaming in the popular culture has seen great variance in my short lifetime. In the early 90s when I was not older than five or six I was introduced to computing by my “uncle” Steve, a close family friend who worked on electronics. During that time to have a computer meant you were either a nerd or a hacker in the public eye. Being a nerd didn’t get you laid, and folks often would react to computer users with fear or disgust; the only group excepted from this treatment were dry businessmen in suits, who used computers to do boring business stuff like balance spreadsheets and embezzle funds. Everyone else was not verified to use a computer, or so the pop culture decided, and sensations like Kevin Mitnick and the widespread phreaking of public phones during the decade didn’t help matters either. Following “Y2k” the public opinion shifted rapidly. In this period every home made efforts to acquire a computer, and computing was the new exciting thing to devote leisure to. Fast forward to today: it’s now even acceptable for “hot girls” to use computers, and being savvy with a computer and information technology ensures your place in the job market. On the contrary: to be inept in using such technology nowadays ensures your irrelevance, both socially and economically. Strangely while your parents and the parents of your parents probably use Facebook more than their children do and sing praise to their glorious idol Netflix amidst the corpse-like glamor of LCD light, gaming has remained a maligned topic. Not amongst the young: no, in that demographic gaming has become widespread and nearly normalized. However in the popular media and amongst the formal and businesslike, gaming is demonized as not only a waste of resources, but is also blamed for inciting domestic violence and mass shootings and for providing a wayward path to squander precious opportunities. As a young person it’s all too common to be chastised by elders for “doing nothing all day” as they spend hour after hour on their smart phones stalking lost loves on social media websites. I am here to refute the notion that gaming is toxic and to defend it as an institution. I credit a great deal of what I know with that hobby, and it also recently landed me an excellent job. Please forgive the meandering nature of this post; it’s as much a memoir as it is an essay. First, a problem exists in defining gaming. For me gaming only entailed playing something like a Nintendo or Playstation for a few years of my childhood. Chronologically speaking what the activity of gaming formulated as, and what it means today as an adult is a deliberate activity in which I build a computer, configure it with software, engage and contribute actively in online communities and play and modify computer games. I have a contempt I respectfully hold near to my chest for the gaming experiences on “consoles” such as the Xbox, Playstation and Wii. The experiences these platforms offer is formulaic and requires little effort to acclimate to or excel at. They rarely offer opportunities for learning or self-exploration and the products often pander to the lowest common denominator. If you want to demonize gaming for being a waste of time, one could make a compelling but caveated argument against console gaming, but that’s not my quarry and herein I hope to distinguish the difference between these two categories. As a point of order I also engage in and recommend gaming of a non-electronic type in the form of tabletop and “pen and paper” games, as I have covered previously here and here. So what’s in PC gaming? This is a difficult question to answer succinctly. At it’s most elementary and pedantic PC gaming involves playing games on a computer. 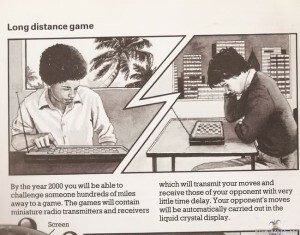 However in practice gaming is an entirely different activity and often involves commitment to organized online communities, posting in forums, building and configuring computers and developing online friendships with people from all over the world which can and often do turn into offline ones. PC games differ from consoles in that they have a steeper learning curve, which enhances long term enjoyment at the expense of initial ease of access. Another distinguishing factor perhaps more relevant to this discussion is that PC gamesÂ typically allow modification by the user. It is this ability to modify computer games that is at the heart of my interest in them: to build new worlds, new technologies and design new systems, and then see how others interact with my creations is a ever renewing joy and my real satisfaction in this enterprise. It is the same gratification an artist, writer or musician is privy to and not that of a foodie, adrenaline junkie or gambler. Furthermore, the earliest PC games were actually designed by hackers, you know smart people, and the games tended to be the sort of thing smart people wanted to play. There was no demand or need to cater to children, and thus the games were forged complicated, mentally engaging and technically challenging.Â This trend has decreased in recent years with the commercialization of PC gaming and the reduction of self-owned studios. Even so a niche market has existed all along for those of my heart, and most recently “indie” (see: good) game development has seen a monumental burst in activity, threatening the markets of major commercial producers. Services like Steam and Kickstarter have been at the center of this rebirth: the former allows for effortless publishing of independent developments while the latter is a crowdfunding website which has given developers an avenue to appeal directly to fans in order to make their projects a reality. Down to brass tacks: what do I look for in a game? Complexity – if it takes me a shorter time than a month to “master” than chances are I won’t be interested. I require significant mental stimulation in order to be entertained and I shy away from systems which lack a believable and rich simulation of whatever the game is portraying. I prefer systems which have wikis dedicated to them and require significant self-study in order to understand; this keeps the mind sharp. I need to be able to learn something – the range of what I have learned from games is insane, from learning realistic police procedures to how to find water and triangulate my position from landmarks. Asking questions, being a humble observer and committing to full immersion into a topic is key. I also enjoy being an educator and sharing what I have learned with others by creating multimedia, instructing seminars and developing my own documentation. An online community I can get involved in as a hobbyist – gaming is not an isolated exercise for me. My enjoyment comes in working in coordination with other hobbyists to achieve sophisticated simulations, planning and executing large social events and in becoming students of a certain topic together. Plus it’s fun to get to “meet” people who you never would normally. Building or modification capacity – the allure of a game rarely lasts for very long, but the enjoyment can be extended while simultaneously enhancing your skills and knowledge if you become a designer, developer or “modder.” Most of the games I play nowadays are lukewarm fun in themselves, but what keeps me around are the long projects I contribute to, both by myself or as a member of a team amongst other hobbyists. As I alluded to before, nothing is more exciting than spending tens of hours on a modification, unveiling it to the community and watching other gamers interact with, adopt, expand upon and enjoy it. These projects can pay dividends if you are seriously dedicated to your science, as I will explain soon enough. Good clean fun – I’m not interested in games where you just run around mowing people down mindlessly, especially if it has realistic graphics. This sort of twitch, instant gratification notorious in the Call of Duty franchise is not only dreadfully boring but has no value outside of the orgiastic act: what can one learn or develop from such an experience outside of a normalization of violence? Don’t get me wrong: I do enjoy realistic simulators of warfare, but cannot tolerate arcadey treks through seas of numbing, simplified, mindless violence. On the other hand abstract mindless action can be fun sometimes as a change of pace, but it’s not what keeps me in gaming or motivates me to spend time in it as an institution or hobby. I’ll often be asked why I’m wasting my time playing games. Well, I’m not. If I wasn’t being constantly stimulated on a mental or social level I would not bother being involved. Pong is my anti-game; merely keeping my hands busy and my eyes moving like a rat on a treadmill is not a sufficient cause to devote my time. How to interact and accommodate different people, particularly people of different countries and ESL speakers. What non-gamer routinely speaks with people from ten different countries on a daily basis? And here’s the kicker. I am starting a salaried, full time job with great benefits essentially doing what I do for fun in my free time. How? I am a skilled developer and a “name” in the community who put in the time needed to master the art while simultaneously enjoying myself. Where is the evil or folly in that? While I would not say that this is a realistic career path for all – what is true is that if you become a scientist, academic and magnet in service of a complex game, network with the heads of the community and have the genuine skill to make cool stuff, you may do well. And at the very least you will have enhanced the leisure time of those you engage with while also learning some useful skills and knowledge. The magnets of every niche gaming community prosper and give back in this manner of redeemable generosity. Gaming is more than about just having fun in the same way a roller coaster gratifies; it is more than a good feeling which enters and leaves like an opiate, dissipating into the ether. No, gaming is a discipline, hobby and lifestyle that enhances our lives, helps us harness real world skills and bolsters our technical competency in the information systems which have come to dominate our lives. To belittle and reduce those who partake in such an activity is the mark of ignorance and denies to the self a great facet of living in the electronic age: such fascinating and mysterious activities would not have been possible just three short decades ago. Hey man, wandering the depths of the internet after watching one of your BMS tutorial videos. Great post! It’s unfortunately not often you see such an articulate defense of gaming. But then, Black Ops II just hit $1B in sales I heard recently. It appears we (as I’ve had a very similar experience) are in a decided minority!